Script Installer is a tool that makes it easy to install any script or stylesheet. Auto Script Installer is a software one-click application installer. It makes easy to install the most popular software applications such as Wordpress CMS, CMS, Web Site Builders, Blogs, Discussion Boards, Image Galleries, GuestBooks, eCommerce Solutions, Customer Support Management systems, Mailing Lists, Calendars, Classified Ads, Groupware, Forms & Surveys, Wikies, Social Networks, Web Analytics, Bug Tracking, and RSS. 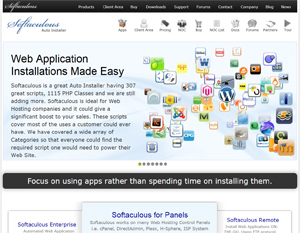 Softaculous works on many Web Hosting Control Panels i.e. cPanel, DirectAdmin, Plesk, H-Sphere, ISP System and Interworx. Its very easy to integrate. It has 307 great scripts. 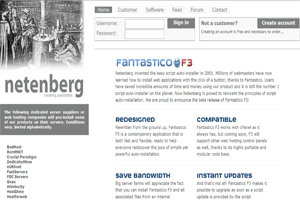 Fantastico Script Installer is the leading autoinstaller for cPanel servers. With more than 10,000 installations, it provides more than one million end users the ability to quickly install dozens of the leading open source content management systems into their web space. 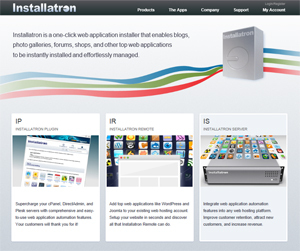 Installatron is a one-click web application installer that enables blogs, photo galleries, forums, shops, and other top web applications to be instantly installed and effortlessly managed.